Recently, there was a news in New Zealand regarding the dangerous driving by a Malaysian. They are a family come from Malaysia for a short travel holiday with self-driving in South Island of New Zealand. The dangerous driving caused one of their family member vomit when the vehicle stopped by a police. End up, the dangerous driver was being caught by police and appear in the Christchurch District Court. In addition, His rental contract was cancelled and the car repossessed. For further details, please read here. 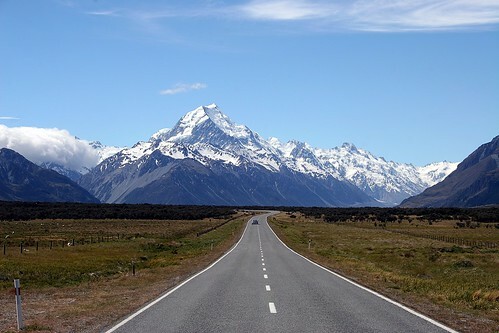 For my experience during my honeymoon, New Zealand has a special high way which is only one land for one way. Which is different from other countries where the high way has more than 2 lands. There are not many car on road especially in night, and some roads are curved. In night, the high way is not brighten enough for driving as some roads don't have public road light. The maximum speed limit is 100kmh. However, I do not advise the new visitors to drive with exceed 90kmh especially in night. 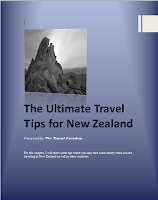 In the forum, most of the new forumer ask for the itinerary for New Zealand, they always plan the route with long driving hour which is not advisable. Some of the expert will warn them instead in the forum as there are many serious accidents caused by the new visitors who self-drive. In addition, we do not recommend to have driving on Day 1 you arrive New Zealand while you have had a long hours flight from your home country as you will tire after flight and may not really focus on driving. As a conclusion, DO NOT drive with long hour, don't exceed about 6 hours per day, DO NOT exceed the speed limit of 100kmh. Please drive when you are fully "awake".